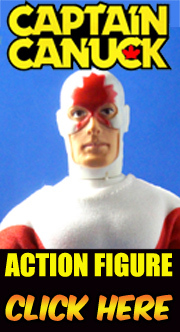 Crystar is pretty bittersweet for me as it's possibly the last action figure I ever purchased as a kid, I was in the last few weeks of being 12 and the winds of change were blowing. I still think they were neat. See the 1983 Remco Catalog here. The art for the Marvel promo page is weird. Looks like it was done by two different artists. 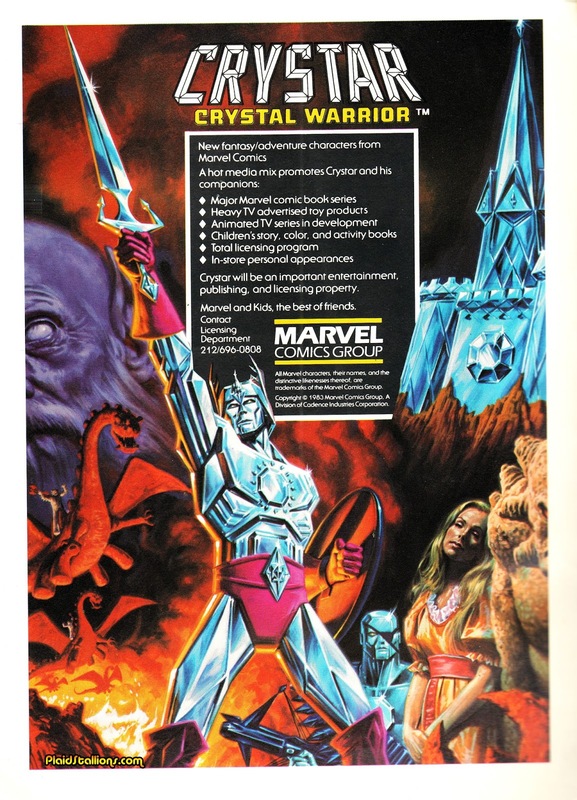 He-Man Crystar, his buddy Eye-Patch and the castle have a very "Marvel Super Special" look. But the Spooky Blind Wizard, the Lava Dragons and that smokin' hot blonde in her mid-30s were clearly done by someone else, someone who was doiing a very good job trying to be Boris Vallejo or maybe even the man himself. Checking the catalog page, the blonde wasn't listed. Neither was Crystal Castle GraySkull, but that's obviously a play-set waiting to happen. I always thought that Krystar was really cool and underrated. The line probably needed better marketing or more figures or something. I really wouldn't mind seeing Matty Collector do a "He-Man" re-interpretation of the Krystar line. Animated series in development? What happened to that? The blonde looks bored out of her mind by Crystar. His ex maybe?